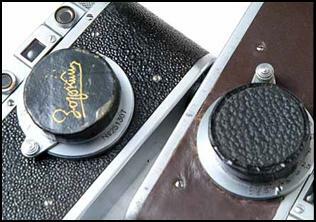 Lens caps for classic cameras can be difficult to find. They often have “odd” sizes which are not regularly stocked, or else are obsolete. And if ever they are found, they are usually expensive. You can make your own Lens Caps from cardboard, glue, and some paint. STEP 1. Cut a circular piece from a piece of cardboard. Use the lens to measure the required size. STEP 2. Cut a strip about 1 cm wide from cardboard too. 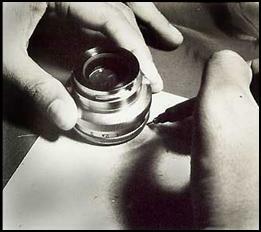 Wrap around the outer diameter of the lens to determine the length needed. The two main pieces: the rim and the cap cover. STEP 3. Glue the cover to the rim. 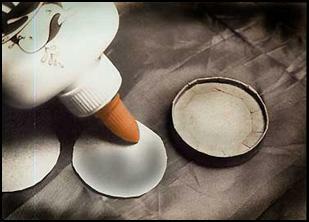 Use glue sparingly, apply the adhesive as tiny beads along the side of the cover. 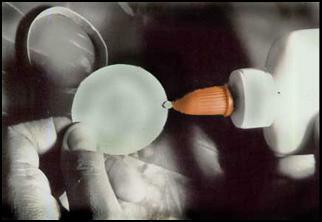 The cover can be attached on the tip of the cap rim or somewhere inside it, to give a beveled look. STEP 4. 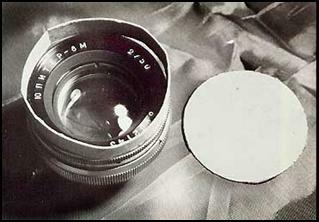 Leave the assembled cap on the lens to dry. The cap will set in a better shape with a better fit. 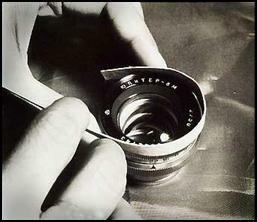 Be careful not to spoil the lens with glue or other adhesives. STEP 5. 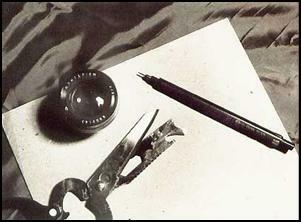 When set, the cap is covered further with two layers of gummed paper tape, or brown wrapping paper saturated with glue. The method is similar to „papier-mache“. This further hardens the cap material. STEP 6. 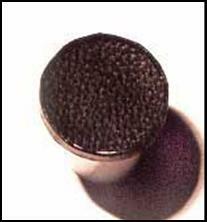 When dry, paint the cap with black lacquer. The cap’s face can be covered with leatherette trim (or real animal hide) to make it a more ‘legitimate’-looking lens cap. The Lens Cap at work. With this method, you can make lens caps in any size, colour, or finish you want– from the coin-sized cap for the Komsomolyets’ T-22 lens to the saucer-sized cap for an Arsat 30mm fisheye. You don’t even have to lose your ‘real’ lens caps to make some. Make several as ‘users’ and replacements (you can lose them and not even bother to look back to find them). Keep your original lens cap for ‘dress’ occasions and protect your lenses using these disposables. REAR CAPS, BODY CAPS, and even LENS HOODS can be made using this process. 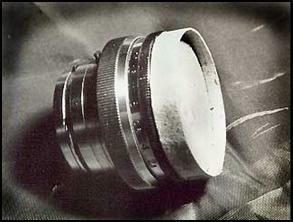 Papier-mache lens hoods of assorted sizes fitted on Ju-9, Ju-8, and Industar-50 lenses. May not look too good, but definitely works! LOOSE CAPS? 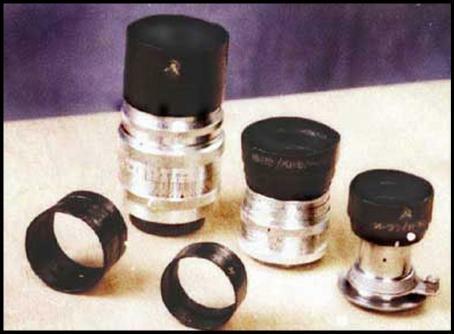 The metal or plastic caps supplied with the lenses are held by friction. More accurately, they are tightened by a felt or plush lining. 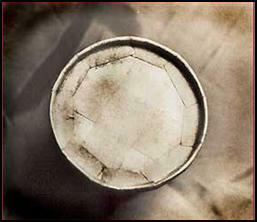 This lining wears out and the cap loses its ‘grip’, making it prone to loss. Retighten the cap by ripping out the old lining and installing a new one made from plush or felt. Good sources for this lining material would be the plush lips of discarded 35mm film cassettes. They are discarded at photoshops and about 2 cassettes will provide enough lining material to repair a Jupiter-8 sized lens cap.